It wasn’t that long ago that spending less than $1000 on a road bike was the domain of commuters looking to find a cheap ride into work. The market has changed dramatically since then, and the $1000 range is now becoming a very competitive price point. There’s a lot of value to be found, and fewer compromises than ever before. 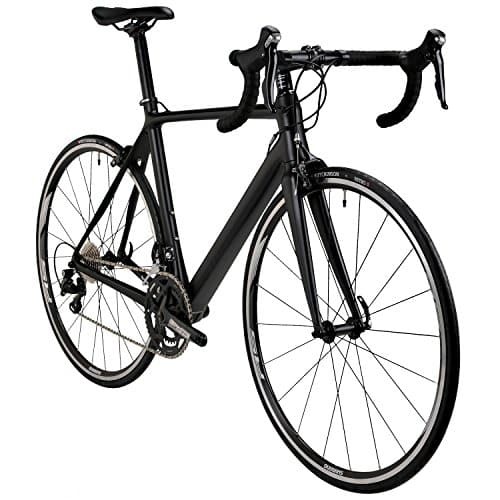 This piece is written to help you find a good road bike at or below $1000. We’ll be reviewing each one, mentioning the style of riding it’s suited for, and any other concerns worth noting. This article is part of a series on entry level road bikes. Stay tuned for the next piece, which will explore the $1500 price range! Some manufacturers concentrate on an overall package which represents great value to the consumer. Others simply find a cheap frameset and build to a high specification around that. If you want something visually impressive to wow your friends and work colleagues, consider the great frame option. However, if you’re after a bike for the long term, a more rounded package will offer the best longevity. While carbon is often seen at the high end of the market it hasn’t quite filtered its way down to this price point. A recent development for road bikes has been the inclusion of disc brakes. These offer enhanced braking over traditional calipers, while adding a tiny amount of additional weight. Their performance is much better in wet conditions, although they can be an expensive addition to a road bike. Their prominence is increasing, but they’re still mostly seen on cyclocross bikes (which offer a rider more riding options for dirt roads and the occasional excursion across grass or mud.) Cyclocross tires offer some speed on the roads although it’s an easy job to change them over to road tires should you wish for more speed. At present many national federations do not allow disc brake equipped bikes for road racing. If you’re looking at buying with the hope of maybe entering a few race events, it’s best to steer clear of them for now. Above all, the most important thing in any bike, whether it’s $99 or $999, is to get the proper fit for your riding needs. We’re going to take a look at 8 good quality road bicycles that cost around $1000 or less. I hope one or two of them appeals to you! We’ve organized the article into two sections, road and gravel, depending on your riding style. Gravel road bikes (or cyclocross) have wider tires with beefier tread. If your budget is minuscule but you’re hoping to land good value for your buck, the Giant Contend is worth checking out. The Contend 3 features a well-rounded build focused around a lightweight, ALUXX-grade aluminium frame (Giant’s proprietary 6061 alloy of choice) and an alloy fork. A balanced riding position and reasonable overall weight offer great value. It will happily allow you to start road racing or get you over the high passes of a sportive, all without destroying your bank balance. 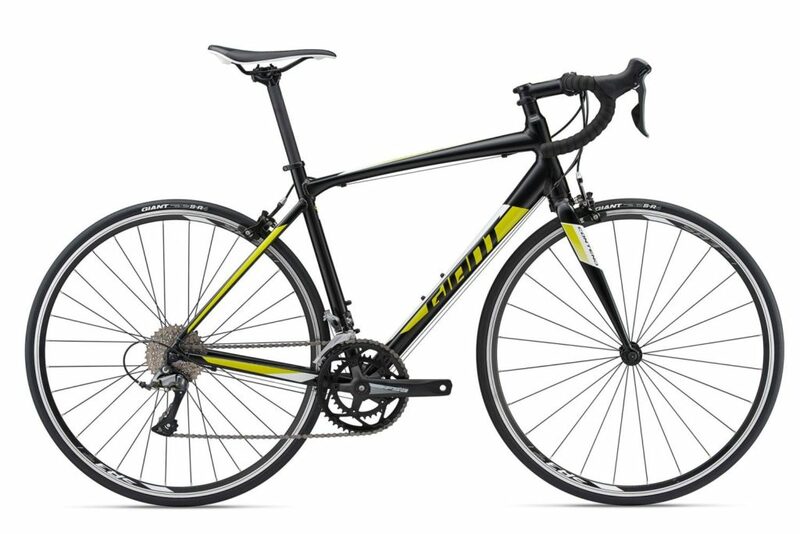 Giant’s Contend range features a selection of budget friendly road bikes. The base model 3 features Shimano’s entry-level Claris group for smooth shifting at recession busting prices. The 2 is very similarly outfitted but features a carbon composite fork, while the 1 has a stronger Shimano Sora groupset. Tires are also proprietary to Giant, with the company selecting to equip a pair of SR-4 shoes; excellent, treadless tires. You may want to upgrade to something more durable with the money you’ve saved. With comfortable yet fast road handling and a great overall package the Giant Contend 3 offers a rider great value. At under $700, it’s a fantastic all-round road bike for under $1000. While there may be bikes out there at the price point which will score highly on individual aspects, the Contend is a well thought-out bike that’s a pleasure to ride. Pros: Low price, great tires, stiff frame, very well-rounded. Well suited to entry level cyclists. Online retailer Nashbar has a real knack of putting together some great bike packages. By taking out the middle-man they can pass the savings on to us. Their carbon-framed, Shimano 105 groupset-equipped road bike is no exception. All your friends will ask if you’ve been handling stolen property when you disclose how much you paid. 11 speeds have now filtered down to Shimano’s 105 groupset (the Nashbar features almost a full 105 groupset.) A FSA Gossamer chainset and reliable-yet-cost-efficient Tektro brakes detract only minimally from their 105 counterparts. The groupset allows for a highly affordable entry level road bike without leaving it lagging behind. A strong, light and responsive carbon fibre frame with a tapered steerer and carbon fork are a shock at this price point. Carbon and 105 paired together usually sets you back many thousands. Nashbar balanced the budget with a pair of decent but inexpensive Vuelta Zerolites. This wheelset offers performance and reliability but they do more accurately reflect price point. The Nashbar 105 is a bike that would be happy in the middle of a peloton for an improving cyclist. Likewise, it would be equally comfortable conveying you a few miles to work and back. It’s certainly a bike to put a smile on your face regardless of your riding needs. If you time it right Nashbar often have 20% off flash sales so you could get a fantastic further saving on an already excellent specification bike that would make an ideal first racing bike. 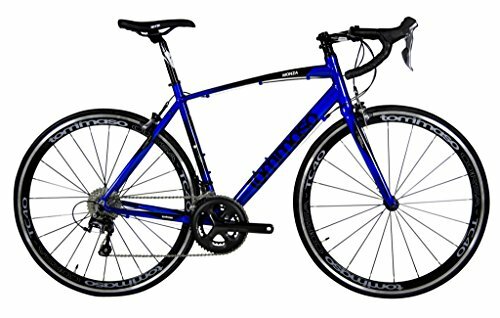 Either way, it’s a serious and affordable road bike for much less than $1000, and a great choice for beginner riders on a budget. Pros: Shimano 105 components, full carbon frame and fork is outstanding, great price tag. Cons: Not a full 105 groupset. Very stealthy and non-badged frame. If you’re looking for a comfortable road bike to get your through sportive events and century rides, but one which won’t break the bank, the Diamondback Century 2 could be the one. It’s an affordable, sub-$1000 road bicycle that’s designed for all day riding. The Century features a lightweight and responsive endurance orientated frame and matching 7005 aluminum alloy forks. Its geometry is designed for longer rides so it would also make a fantastic winter training bike. It’s perfect for club cyclists wanting to protect their more expensive bikes, or for someone looking for a fast and comfortable commuter. It’s when you’ve got a long day in the saddle planned that the Century really excels with a comfortable, slightly more upright position which will suit newcomers to the sport or potentially those who suffer lower back issues. It’s a fantastic entry-level choice for a beginner to road cycling, but is by no means a basic bicycle. It is equipped well enough to keep even an experienced cyclist content. The Century 2 offers riders a fantastic Equation wheelset designed for performance and comfort with a wide profile rim to incorporate slightly wider tires. This allows for a more comfortable ride while not compromising on weight or speed. The Shimano Sora drivetrain is nothing special, but it works well and makes for an exceptional value package. If you’re hoping for a women’s frame, the Diamondback Airen is essentially identical. Pros: Comfortable frame geometry, well suited to beginner road cyclists, great wheelset. Cons: Less race oriented, more upright, Sora groupset is nothing particularly special. If you’re seduced by the appeal of a big brand name, the Specialized Allez Sport could be the right bike for you. At an MSRP of $970 it comes well within the $1000 range. While you are paying for the big brand name, you also get a fantastic Specialized premium E5 aluminium frame and FACT carbon fork designed to reduce road vibration. That reduces component wear and tear over time. The remaining specification on the Allez Sport is poor in comparison to several of the other bikes featured here. You’re left with a 9 speed Shimano Sora groupset which is weaker than the Tiagra and 105 offerings on other bikes in the price range. Additionally, it features a slightly heavier wheelset. In my estimation, the positive characteristics of the frameset are negated by slower feeling components. 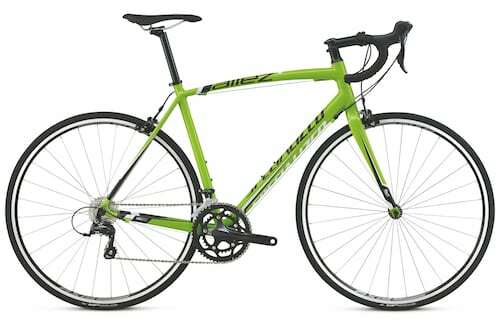 As an overall package this makes the Allez Sport weak against the competition. Still, it’s worth considering since it is a fantastic frameset that you could easily upgrade, and it will retain its value due to the respected brand. Pros: Big brand, fantastic aluminum frame and carbon fork. Cons: Components and drivetrain don’t compare as nicely to others on this list. The Tommaso Monza is a great package for entry road riders at an exceptionally good price. Currently priced at about $950, the bike compares well to big brand bikes at up to twice its cost. Tommaso may not be a brand you know but with its Italian styling and value orientated approach it is fast gaining popularity amongst savvy cyclists. Featuring a lightweight 6061 hydroformed aluminium compact frame and carbon fibre fork specifically designed for female riders, the Monza offers reassuring road handling while offering a light weight. A groupset largely consisting of Tiagra components provides long-term reliability and 11 gears. A Tiagra 50/34T compact chainset also allows for a wide range of gearing which will suit newcomers and those in a panic when you get to climbs when combined with an 11x32t cassette. Finishing kit comes mainly from Tommaso’s own label, which certainly holds its own but doesn’t offer a real advantage over others on this list. Racy looking 40mm deep section wheels offer aerodynamics and good looks, while satisfying those of us that want to look like a pro racer at a fraction of the cost. Pros: Tiagra / 105 components, affordable price tag, great looks. Cons: Not a well-known brand. Many ‘house’ components. Life isn’t always about riding on smooth asphalt roads. Sometimes you get to a point where you’d like to turn off the road and onto some forest tracks. If you don’t really fancy a heavy mountain bike, you’re not out of luck. 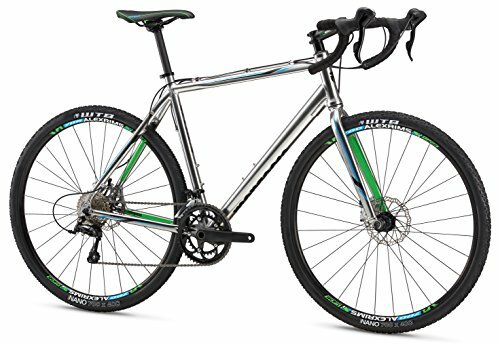 There are some very reasonably priced beginner level gravel road bikes and cyclocross offerings to choose from. 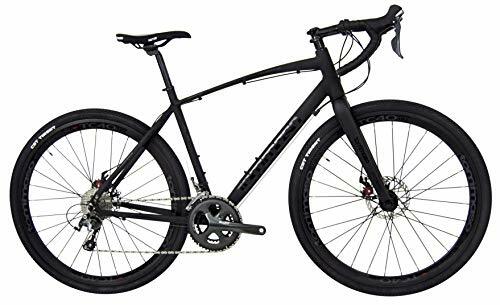 For the explorer in us a cyclocross bike or gravel road bike could be a great option for gravel roads, forest tracks and also if you might want to consider trying your hands at cyclocross racing over the winter to add to the variety. Fitting a set of road tires is easy and the narrower, easier gearing of a cyclocross bike would suit junior riders and those who live in hillier areas for the roads whilst cyclocross tires offer a huge amount of adaptability from road to trails. The Mongoose Selous offers riders a little more sturdiness on rough roads and back country trails without the drawback of a mountain bike while riding around the city. Its main feature is a custom, double-butted aluminum frame and alloy fork to offer lightness and response while mechanical disc brakes provide adequate stopping power in any situation. The riding position is also a little more upright on a cyclocross bike so you won’t feel as stretched out over longer rides. The naked-looking silver painted frame really draws the eye to the bike and Shimano Sora gearing and shifting won’t let you down on a muddy December ride. With wider tires than a typical road bike and a far less aggressive riding stance, this ride won’t compete with strictly road-oriented models, but the ability to ride on multiple surfaces while retaining the agility and nimble ride quality of a road bike mean that cyclocross bikes like this are growing in popularity. Pros: Well-rounded bike, great for trails or tarmac, Sora gearing. Cons: Upright riding position isn’t suited for high speed riding. If you’re looking to ride gravel roads as well as smooth tarmac, the Tommaso Illimitate is a great bike currently hovering around the $1000 price point. It’s a cyclocross bike and will therefore work well almost anywhere you want to take it (including some mountain bike trails if you’re brave). It will serve you well as a do-anything bike from commutes along the river and through local parks to the rough roads of a city centre. Braking comes courtesy of Tektro’s capable Lyra disc brakes. Discs are slowly integrating the road bike marketplace as they offer better, more reliable braking in all conditions (particularly in mud and rain) when compared to caliper brakes. The bike also features the capable Shimano Tiagra groupset featured on many of the other bikes featured in this price range. It’s a perfect fit at this price tag and works well. The beauty of a bicycle like the Illimitate is that you could easily ride it to work during the week and then race a cyclocross event at the weekend. Or, fit a set of road bike tires and head up into the mountains on a sportive or century ride. Its adaptability makes it a great purchase and currently they’re available for less than $900 from several retailers. It’s a budget-priced, sub-$1000, gravel road bike for beginner to expert riders. Pros: Tiagra components, mechanical disc brakes stop extremely well, adaptable ride. Cons: “Do anything” bikes tend to not excel in any one area.